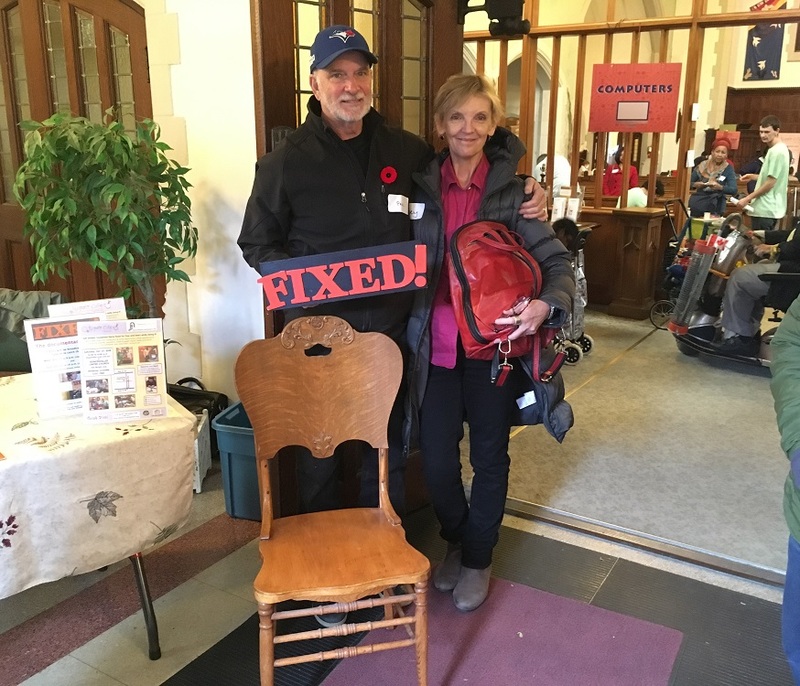 The Repair Café team visited the United Church on Roncesvalles for the first time on October 27. It was wonderful to meet the local community in this west end neighbourhood. Throughout the event, the visitors arrived steadily with all kinds of household items. 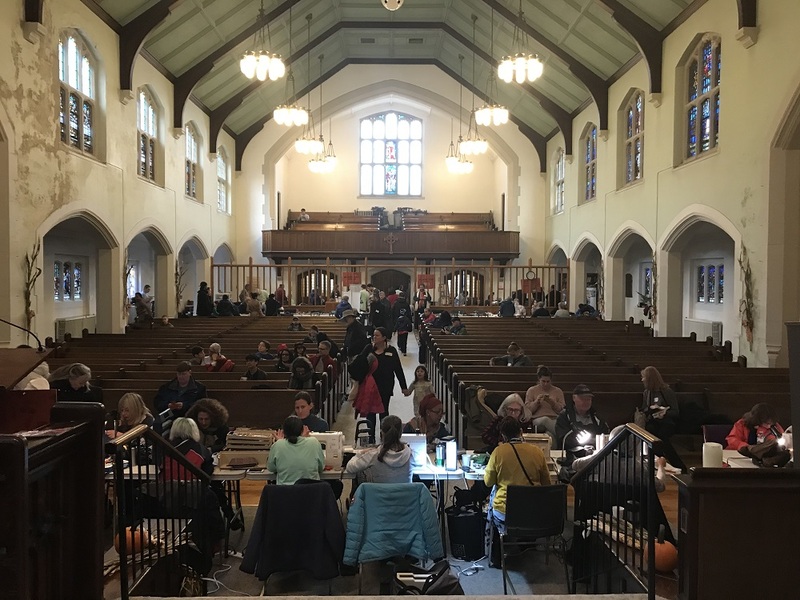 And when they were leaving, many expressed they were satisfied and that they would very much like to return to the Repair Café in the future. One of the items our fixer received and fixed was a wood chair. In the video below, you can learn about its history and what it means to its owner when it was fixed. We have also held two events earlier this month. 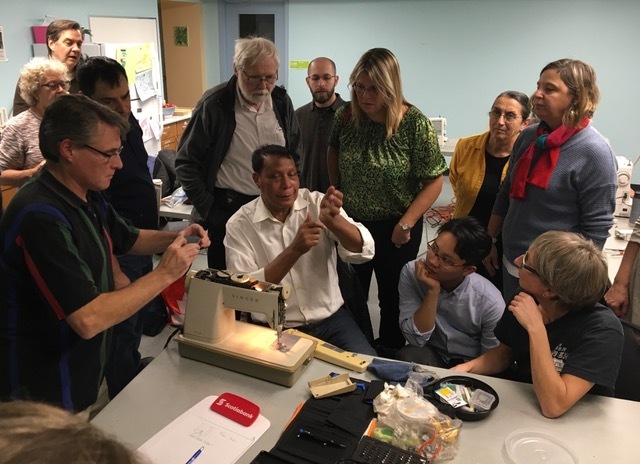 The first event was a sewing machine repair workshop on November 8. It turned out to be a popular event with a great turnout. The participants learned about simple tips on how to keep a sewing machine in good conditions. 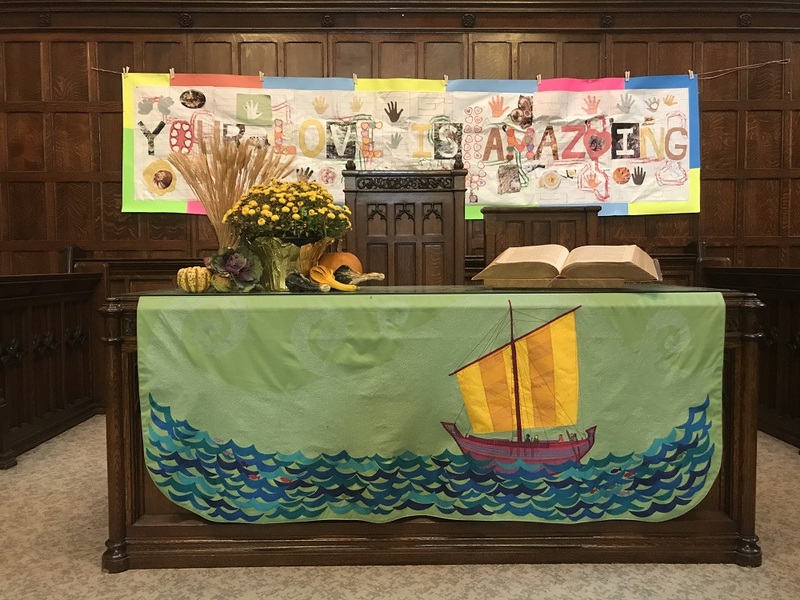 A special thanks to our host Ralph Thornton Community Centre for offering the space! 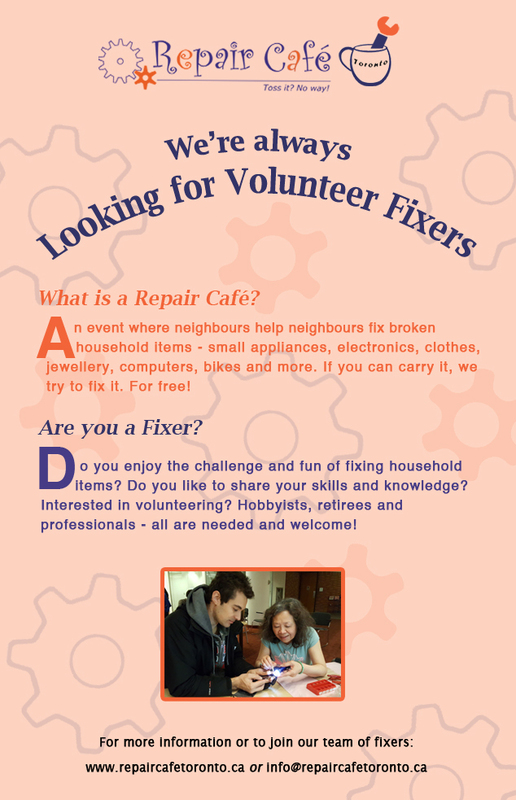 As well, we collaborated with Bain Co-op Community Centre in offering a mini Repair Café on November 10. As you can see in the photo, everyone had a great time. 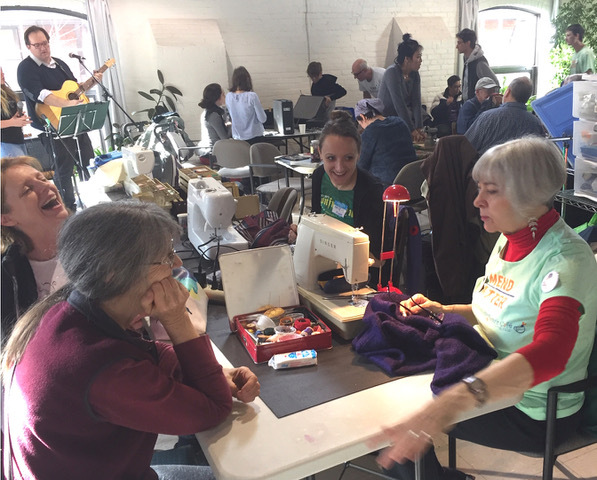 Our next Repair Café will be held on Saturday, November 24. It is also the last full café this year. For details, please visit the Upcoming Events page.